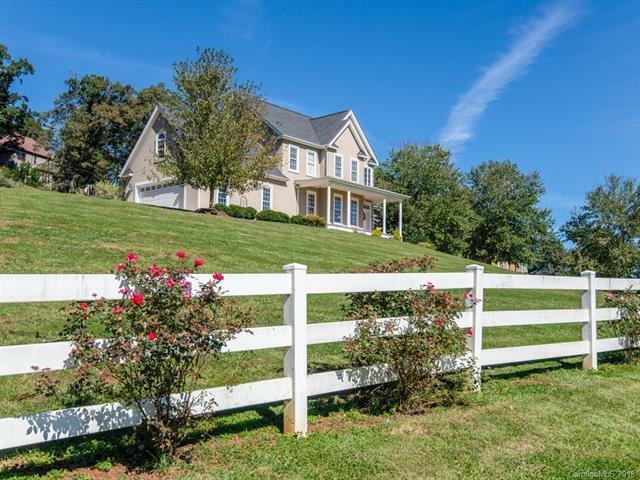 Beautifully appointed country home overlooking rolling mountain views. 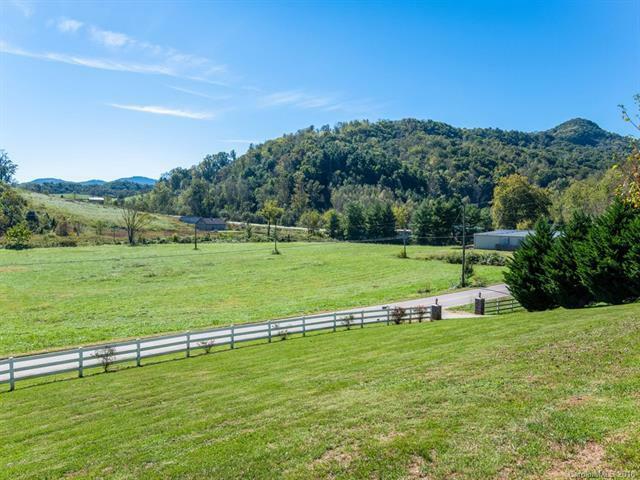 Sited on almost 1 acre youll love to spend quality time on your covered rear porch or in the level back yard with a gorgeous stone wall and wood burning fireplace. The two-story great room with floor-to-ceiling windows opens to the kitchen and breakfast nook allowing everyone to enjoy an open concept feel with high ceilings and abundant natural light. Fashionable white kitchen with marble counters, a large island, gas range, and a large walk-in pantry. Master suite on the main level with vaulted ceiling, a custom walk-in closet, and a spa-like bath with a jetted tub. Upstairs offers three generous rooms and a bath with a tub/shower combo. Quality craftsmanship in the heavy molding and other detailing. 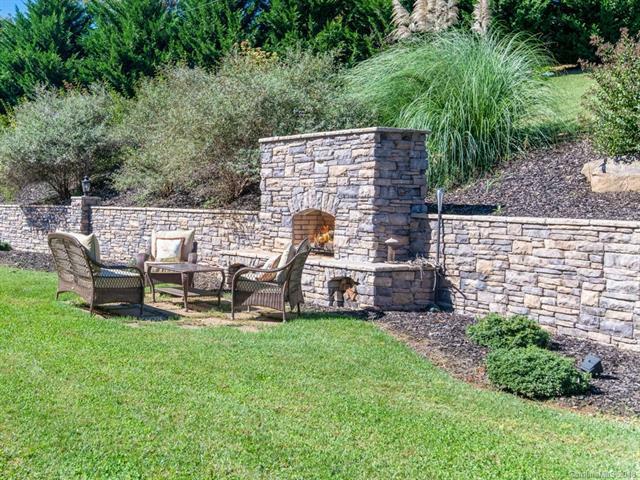 Located only 20 minutes to downtown Asheville and 10 minutes to the grocery store and more.